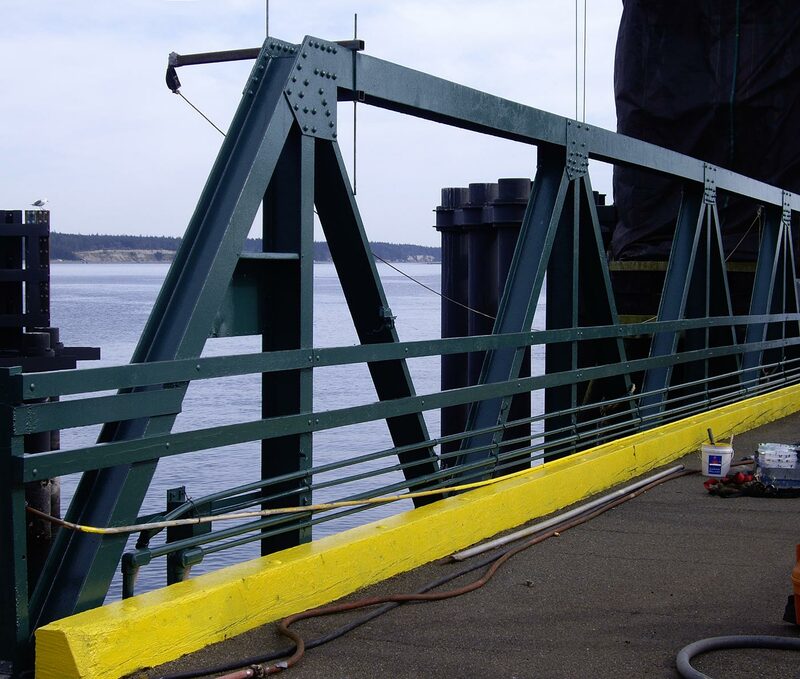 Long Painting Marine Coating - WSDOT Ferry Terminal | Long Painting Co.
Long Painting provided SP-1 power washing, SP-2 solvent cleaning, SP-3 power tool cleaning, SP-6 commercial blasting, lead abatement, environmental containment, and the application of moisture-cured urethane. Washington State Ferries operates a fleet of 23 vessels through 19 terminals in the Puget Sound region, transporting an estimated 11 million vehicles annually. 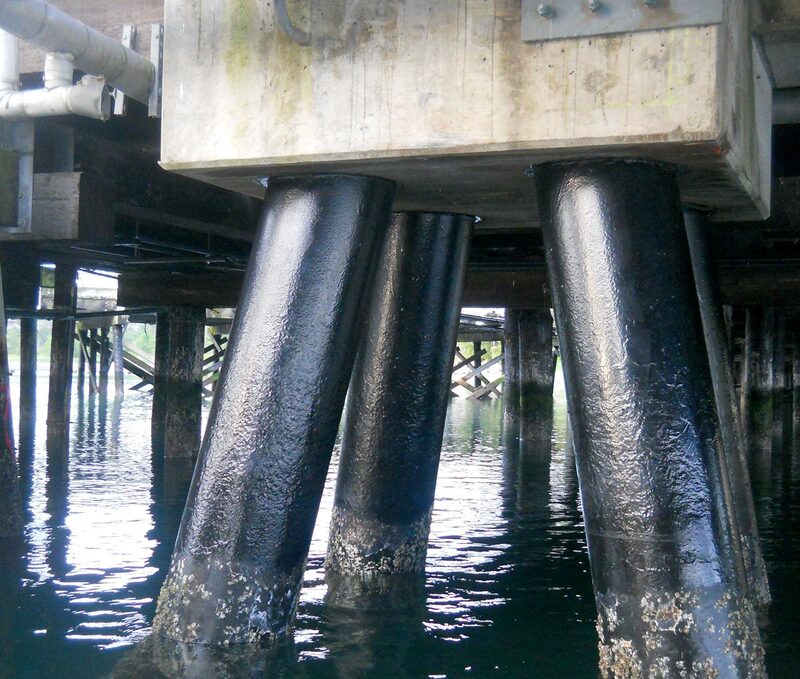 The Washington State Ferries Terminal Maintenance Contract required Long Painting to provide on-call painting services for each terminal’s transfer spans, wing walls and pilings without shutting down or impacting the operation of the ferry system. Long Painting was able to work with the various terminal managers to develop a plan of communication between our crew, the terminal manager, and the ferry captains. 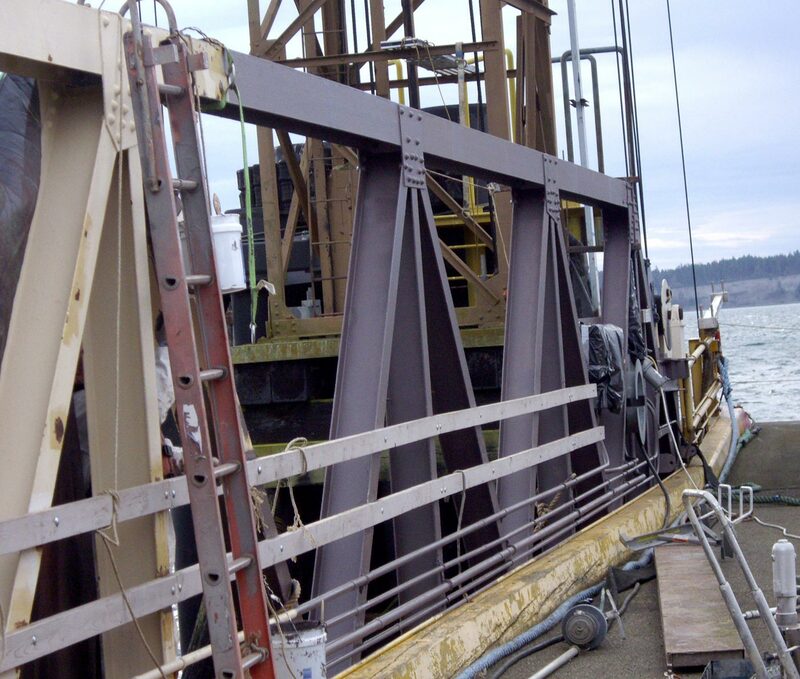 This allowed painting to get done safely and without impacts to ferry traffic and schedules. 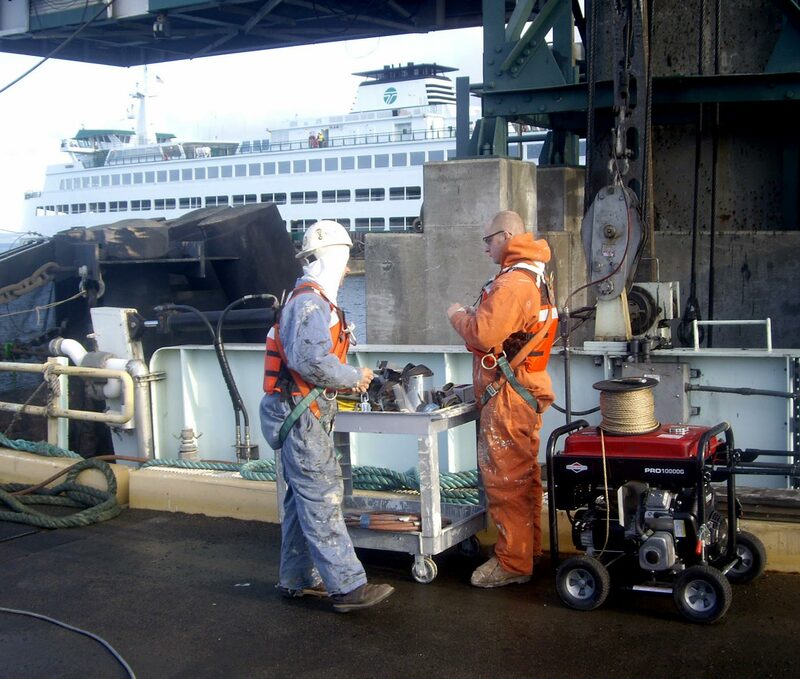 Long developed processes for accessing the work and methods for cleaning, surface preparation and painting that allowed for work stoppage several times per shift to accommodate the docking, loading and unloading of passengers and vehicles. 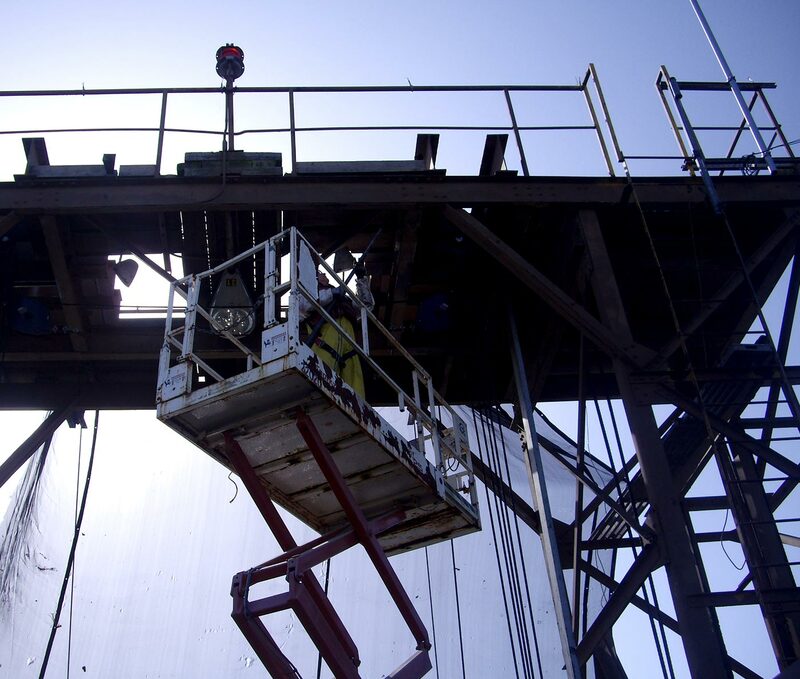 Long Painting was awarded the two year maintenance contract three consecutive times.